Hook Pivots to Allow Hammock Movement. 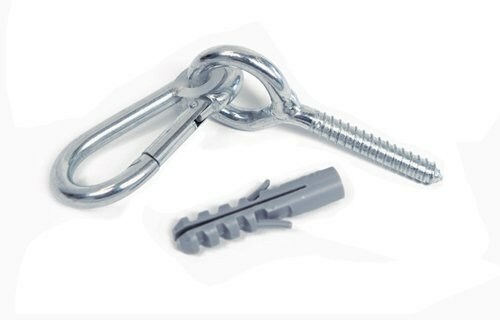 The Jumbino hook attaches to your ceiling to allow the hammock to hang. It pivots for extra movement and has a protective nylon ring. The Jumbino hook works perfectly with our Kaya Natura and Kangaroo Hammocks. There are no reviews for Amazonas Hammock Accessories Jumbino Pivoting Hook.